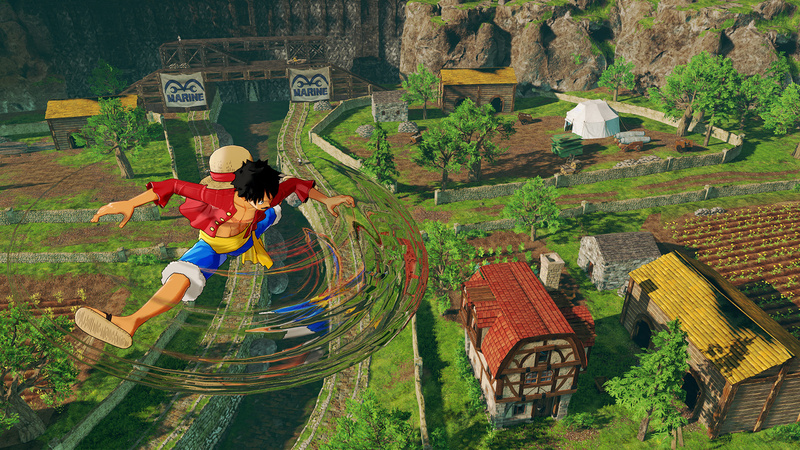 One Piece: World Seeker is a new action adventure anime game developed by ‘Ganbarion‘ and published by ‘Bandai Namco Entertainment‘. It is coming out the 15th of March 2019 on the Xbox One, PS4 and PC. A game based on a anime as popular as One Piece is going to have lots of expectations from fans. Let’s take a look. 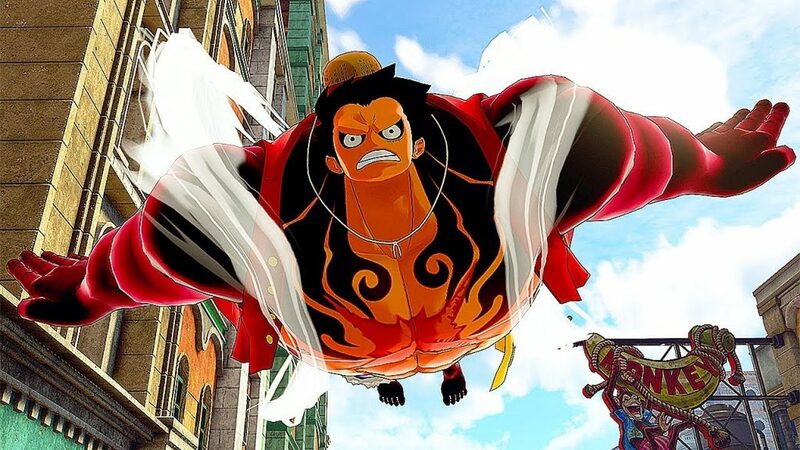 In One Piece: World Seeker players take control of Luffy, the captain of the straw hat pirates. So playing from Luffy’s point of view in a new big adventure is what’s going on. You are in a big expansive world full of different areas and some structures. For example players can reach and explore beaches, plains, castles and cities. So it’s all about exploration so players need to spend time doing that. Luffy can easily get around by stretching his ams and then swing, like Spider-Man. Our question is what is Luffy’s top speed when he does his arm swinging. 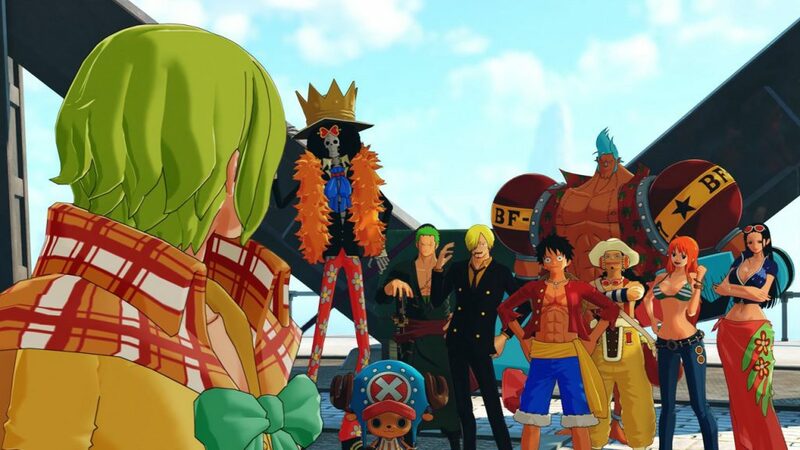 In One Piece: World Seeker, Luffy isn’t alone as the whole star hat crew is here too. Franky, Brook, Sanji, Zoro, Chopper, Nami and Robin are ready for action. 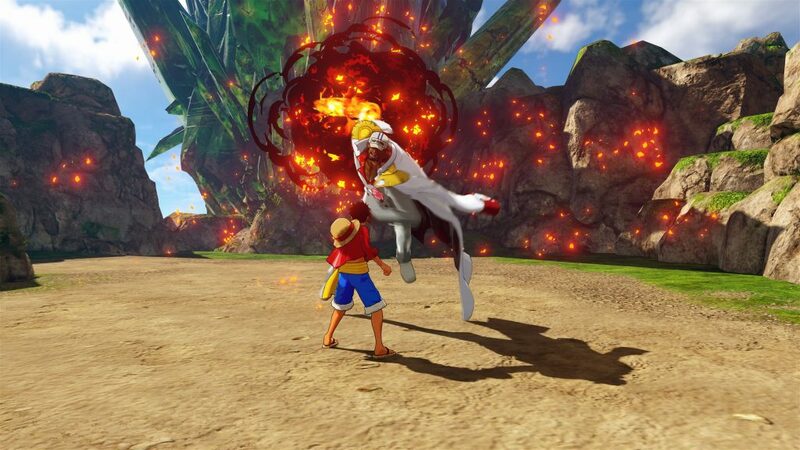 What would a One Piece game be without battles and fights? Good thing we won’t have to find out as there are many battles and fights to be had in One Piece: World Seekers. Use the signature and famous rubber rubber attacks to smash your foes around. For some enemies you can aim to target certain parts of attacks. You can even upgrade Luffy too. This makes sense as when you watch the One Piece anime you get to see Luffy improve, get stronger, learn new techniques and even forms. Eventually you can use haki to increase hitting power and be able to defend against devil fruit users and even hit logia users. Eventually players will be using second gear for increased strength and speed, third gear for large mega attacks. We have seen Gear four, bounce man form to be exact. Now if you watched the anime you would know that gear four is not something to take lightly, unless you are an emperor like Big Mom who can shut it down with one elbow. Either way being able to use Gear four is a big deal. Now concerning the enemies in One Piece: World Seeker there are some obvious clues. You can see the Marine signs around the place. Off course the enemies will be marines. We have seen vice admiral smoker, some strong marines and even Admiral Akainu is here too. We hope to see more types of enemies though. For example will there be rival pirate crews or famous ones like warlords in this world? We hope so. For example will they be wandering around or appear based on the story progression. We checked out some One Piece: World Seeker. It does look like how we would imagine. The way Luffy traverses the world is very good. The combat is what we expected, sort of like a beat em up game style. We don’t know if there are any difficulty levels. The game doesn’t look difficult right now. The enemies see quite easy to deal with. We hope that changes. Off course it will be different when you actually play the game.